Unless you’ve been living under a rock, you’re well aware that the United States is in the grip of a really big epidemic of opioid abuse. The epicenter of much of this has been my beloved Appalachia. My home-town, Huntington, WV, might as well be re-named “Oxycontin,” or maybe “Heroinville.” It’s ugly. Enormous amounts of ink have been spilled on this topic, and I don’t intend to explain the genesis of it in detail. In short, however, about 20 years ago some doctors thought we weren’t being kind enough in our treatment of pain. Some articles were published to draw attention to this theory. 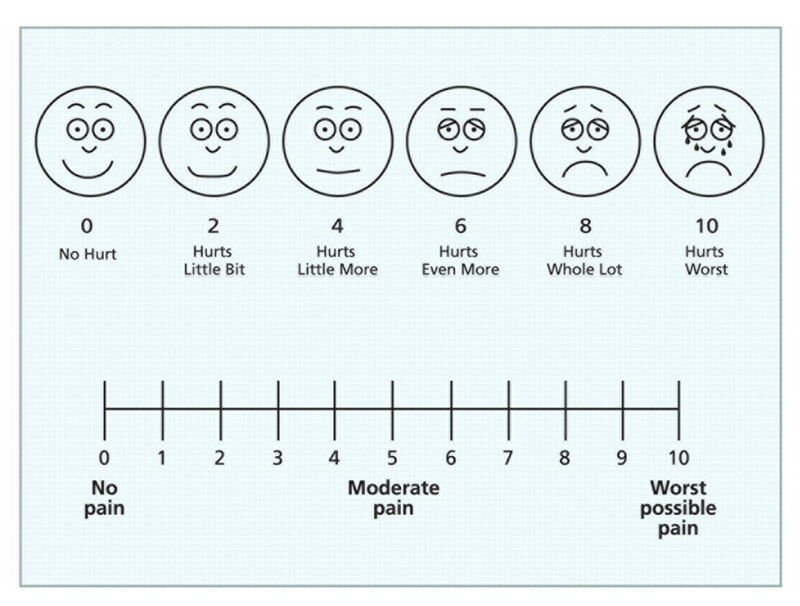 We started using the pain scale. 0 = no pain, 10 = the worst pain ever. Around the same time, administrators discovered the customer/patient satisfaction score. Taken together, physicians and nurses were pressured by 1) academic peers and medical directors as well as 2) administrators, to give more pain medication. Recently, smart people have discovered that a lot of what we were told to do in clinical practice was probably (to put it delicately) utterly stupid and ultimately deadly. Having said that, not all of the drug abuse in the country is because doctors gave out too many pills (although pill-mills are obviously a problem). Some of it, in particular, the heroin and fentanyl nightmare, has to do with bad decisions, experimentation and the high marketability of those drugs. Enormous amounts of those drugs are manufactured in other countries and shipped here (obviously illegally). Money talks, as it were. The problem is, research suggests that patients of doctors with very high satisfaction scores often do poorly. Think of your kids. How do they turn out if you give them whatever they ask? Not usually very well. Often quite badly. Ditto for patient care. Nobody should get a CT scan or antibiotic just because they want it. Nor should they get narcotics just because they scream ‘it’s a ten!’ Or because they ask to talk to the patient advocate or administrator. The further problem is that administrators (and government) seem to be lagging behind science. (Not that doctors don’t also; can’t throw too many stones in the glass house.) But they get all worried when people complain that their pain wasn’t treated. And indeed, in many insurance payment schemes, pain management is really important. Don’t treat pain? Don’t get reimbused well. The list is exhaustive. Ask your nurse and doctor friends; especially those who work in emergency medicine. Ask them about the pain scale and watch them roll their eyes. We’ve turned pain into a religion; worse, into a kind of physical victimization in which the victim of the pain is always right. And is always entitled. In the process, we have allowed people to forget that pain is important and normal. That it is necessary for our safety. That it probably helps healing; a body that doesn’t know there’s a problem doesn’t heal as well. And we’ve created far too many people whose entire lives are predicated on a drowsy euphoria spent sitting on the couch or in the bed, while other people provide for them and care for them. In addition, the constant requests for pain meds can distract us from those in genuine pain, and who really, truly need the ‘good stuff.’ The fractures, cancers, sickle-cell, and other patients who need urgent relief. This is immoral. It’s bad, bad, bad for our patients. But it’s also terrible for our hospitals; in particular, my beloved emergency department. Because it means that around the clock, even as we try to make decisions that will hopefully save lives and prevent permanent harm, we are tasked with responding to every whim of the pain-scale. All day, and in particular all night, our societal pain obsession has been shifted onto the backs of physicians and nurses in the ER. There is seldom a break from this. And because federal law prohibits financial screening in the ER, many of our more nefarious and manipulative “customers” know that if the pain clinic expects cash, at least the ER doesn’t. If the surgeon wants money to see you in follow-up, you can hoof it to the nearest ER and get pain meds (if you’re annoying enough) and maybe a sandwich or a ride home. And with all due respect, our Medicaid population knows the same thing. So a 3 a.m. visit for a minor complaint (with pain thrown in as a side) might get some narcotics, and doesn’t cost anything personally. This leaves staff members exhausted, bitter and burned out. More so when administrators habitually take the side of the “customer” against the already overwhelmed staff. The bottom line is we’re hurting people. Patients and professionals alike. And it turns out, this is so pervasive that even the dogs have pain scales. My wife and I cracked up when we saw this in the vet’s office. I mean, pain relief is fine for dogs (it’s mostly NSAIDs). 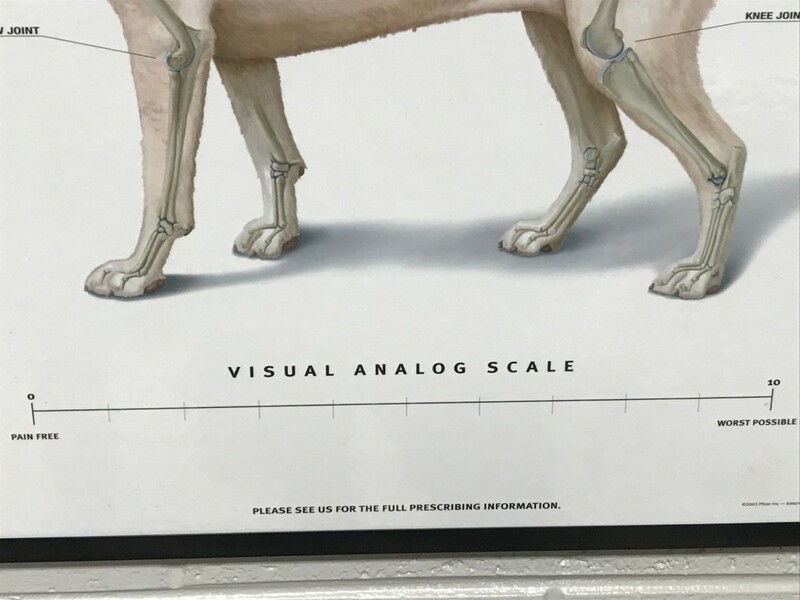 But a visual analog pain scale for dogs? America: Not all pain to be suppressed, and most pain doesn’t require an ER visit. Many people do need pain relief, and this frantic desire to treat every little ache and discomfort makes it harder for us to threat the ones really hurting.